Finally, a properly done 777 is much needed for X-Plane. I'm tired of waiting around for PMDG. And the Ramzess 777 is so damn ugly that I don't even want to fly the thing. Whatever you do, please don't make it look like the Ramzess Flight Factor 777 cockpit. But if you can make it look more like the PMDG version or better. The color of the Ramzess 777 is so ugly, it looks like a poop brown. While the PMDG 777 looks very soothing and the overall modeling and design of it is much better than anything thats offered on X-Plane. The modeling is looking great so far, but could you make it less drab looking? Perhaps make it a bit more tanner looking instead of the dull and lifeless brown. X-Plane really needs some good tubeliners, and I hope this will be the one of them. 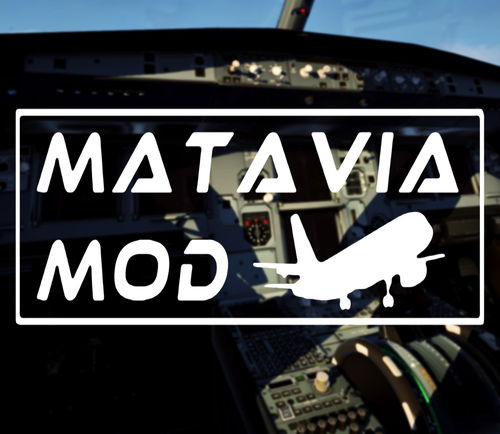 The only other decent looking ones are the FF Ultimate A320 with the Matavia Mod, and perhaps the Zibo 737 with the RG mod. I am hoping that somebody can design the plane right from the get go so that we wouldn't need these 3rd party mods to make it look good. It should look good from the start if done properly. Thanks for your wonderful work in bringing this project to life. I am deeply excited since the 777 is one of my favorite planes to fly. This is one of the best graphic overhauls I've seen! Damn! I must buy the FF A320 now just for this! Wish you could work your magic on Ramzess/FF 777, that thing is so damn ugly and needs a complete makeover badly. Even with pumper's textures, it doesn't look that great. Any plans for the Zibo 737 and Ultimate 737-900 as well? Wow this is the best texture/graphic replacement mod for the FF A320 I've seen! This brings it to a whole nother level! Amazing work!!! The plane looks soooooooo damn sexyyyyyy now! This is what the default should've been!